Zurich is a beautiful place and one can only get to experience it when one takes the time to drive through it. There are many companies for car hire in Zurich offering good rates and customized packages for tourists. When you rent a car, you actually get good value for your money as there are many things which come included in the rent such as Road Fund Tax, free breakdown assistance, liability insurance and Collision Damage Waiver. Make sure that there are no hidden costs and that everything that you pay for is down on paper. Also, pre-bookings are cheaper and when it is done a month ahead, you get even more savings. Most car rental companies offer special discounts for their customers who become their members. So if you are a frequent traveler, it will be prudent to join one of the best companies and always stick with them as you get rewards and loyalty points which can later on be converted to cash or discounts. Zurich offers some of the best car rental companies as it is foremost of places when it comes to tourism as well as businesses. 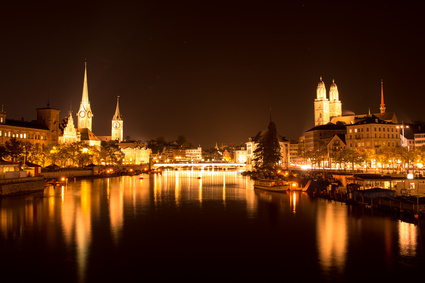 Here are the top companies offering car hire in Zurich, which also gives the best rates. Hertz – Hertz is the oldest and the best company when it comes to reliability and best rates. Log on to https://www.hertz.ch/rentacar/reservation to book the car which is best suited to your needs. When you become a member in Hertz you even get Gold Plus Rewards and when 800 points are earned, the owner will get a Weekend Rental Day. Sixt – Said to be the fifth biggest car rental company in the world, Sixt has over 180,000 vehicles. The company also caters to rentals in over 100 countries and thus is a trusted choice in Zurich. Europcar – You can pick up a car from Zurich Airport itself from Europcar rentals which offer good service and many rental options. Even though the name suggests only one continent, the service is provided on an international basis. Avis – You can get an Avis rental anywhere in the world and Zurich is one of the places where you are sure to get one. You also get many exciting offers like a free weekend when you have hired three times from them. Drive down to Lake Promenade and then go for a walk along the scenic route to admire the view. Then you can drive to Bahnhofstrasse where the tourist can shop and is said to be the most expensive street as it has big brand names such as Tiffany, Dior and Zegna. For those who are interested in art and culture, the Kunsthaus Zurich offers the visitor a glimpse of Swiss art. Find all the best suppliers under one roof when you browse throughwww.carhireairport.co.uk which has more than 500 suppliers in over 150 countries and 8250 locations. www.autoeurope.eu offers up to 25% discounts when you book a vehicle online. It is one of the most reliable sites as they have been in the business for more than 56 years. You can get rates as low as 18 euros per day when you search for car hire in Zurich via https://ct.carrental8.com/and they have more than 800 suppliers with over 30,000 locations all over the world and even in Zurich. Another site which is worth mentioning is the http://www.kayak.comyou get to save more than 40% of the usual rates.